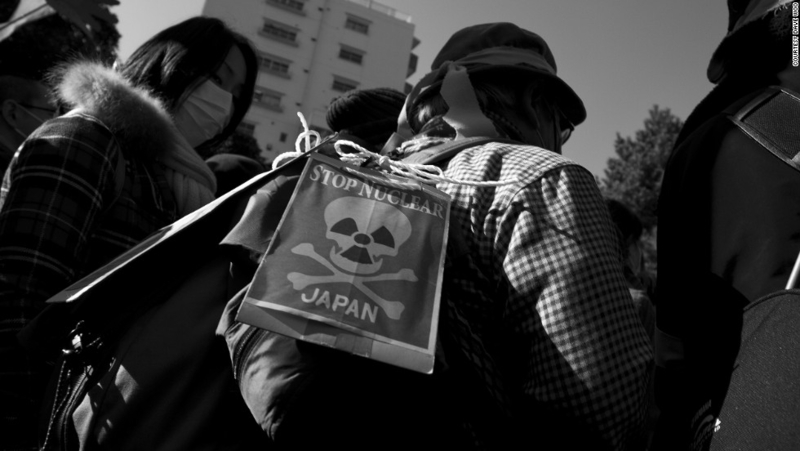 A district court in Japan had ruled the government and Tepco liable for the nuclear disaster. Mitsuko Sonoda, a Fukushima resident who had to leave her home after the nuclear meltdown testified on Thursday at the UN Human Rights Council (UNHRC) in Geneva. Like Sonoda, over 27,000 residents had to leave after government ordered mandatory evacuation zone around the Fukushima Daiichi Nuclear Plant. Speaking at the pre-session for Japan’s Universal Periodic Review - an assessment of every nation by the UNHRC, she presented evidence against Japan. “I know so many mothers who have been suffering and struggling as a result of the nuclear disaster because the Japanese government and Tokyo Electric Power Company (Tepco) won’t admit to their responsibilities,” she added just before submitting her evidence. A strong 9.0-magnitude earthquake hit the area in 2011 and the resulting tsunami affected large parts of the country’s east coast, killing almost 16,000 people. The massive waves led to the shutdown of the Fukushima plant and melting of reactors’ core. In March, six years after the catastrophe, the government withdrew housing assistance to some Fukushima nuclear evacuees. The Greenpeace Japan said that despite the opposition from residents due to the high level of radiation in atmosphere near Fukushima facility, the government has moved ahead with the lifting evacuation orders. It has called on the government to declare Fukushima neighbourhoods unsafe until atmospheric radiation is brought to below one millisievert(mSv) a year. While 1 mSv a year remains the government’s long-term target, government 'is encouraging people’ to return to areas where radiation levels are below 20 mSv a year, an annual exposure limit that, internationally, applies to workers at nuclear facility. The Japanese Government’s resettlement policies not only fail to meet obligations under multiple human rights treaties, but also clearly violate Japan’s own domestic law regarding the treatment of people impacted by the nuclear disaster,” said Kendra Ulrich, Senior Global Energy Campaigner for Greenpeace Japan. Ulrich further added that most of the Fukushima evacuees meet the criteria of Internally Displaced Persons (IDPs) and the government has refused to acknowledge them as such and ignored international frameworks for their protection. The district court in Japan has ordered the government and the operator to pay compensation to 3,800 plaintiffs in the 2011 Fukushima nuclear disaster. Tepco and the Japanese government have been ordered by a district court to pay them damages amounting to 500 million yen (Dh16.3m). Recently, a study conducted by a research team that included Virginie Sanial, Ken Buesseler, and Matthew Charette of Woods Hole Oceanographic Institution and Seiya Nagao of Kanazawa University has discovered an unexpected source for radioactive cesium from the meltdown of the Fukushima reactors in 2011. The catastrophic disaster – worst in 25 years after Chernobyl incident., led to emissions and discharges that have severely affected agriculture, livestock and fisheries.